This week was so good that I posted DOUBLE the tracks! Here they are. I Can’t Describe (The Way I Feel) – Jennifer Hudson feat. T.I. Loving the latest single released from recent Grammy award winner, Zedd. This week’s Spotify Friday 5! A lot of variety this week. Website Launched – Win Free Cupcakes! 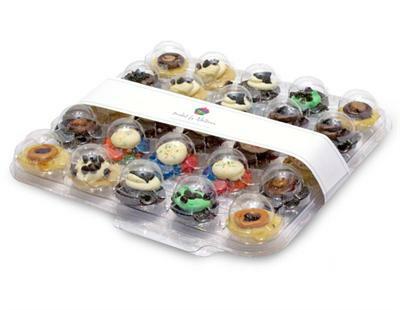 Our DJ Brian B website officially launched today and to celebrate we’re giving away free cupcakes to a lucky winner. Just comment below about your thoughts on the site or whatever else is on your mind and some Baked By Melissa cupcakes might arrive on your doorstep. Winner to be announced January 16th. So pumped for my first event of 2014 today! Myself and Jesse Burton Drums are providing entertainment for Jeremy Kerr and Julie Hoplamazian’s wedding reception at the New York Marriott At The Brooklyn Bridge in Brooklyn, NY. We’ll also be sharing the entertainment time with an Armenian band. What a way to kick off the new year!